Children’s Party Entertainer in Hertfordshire. Covering Herts, Beds, Bucks, London, Essex, Surrey, Kent, Cambs, Oxford etc. 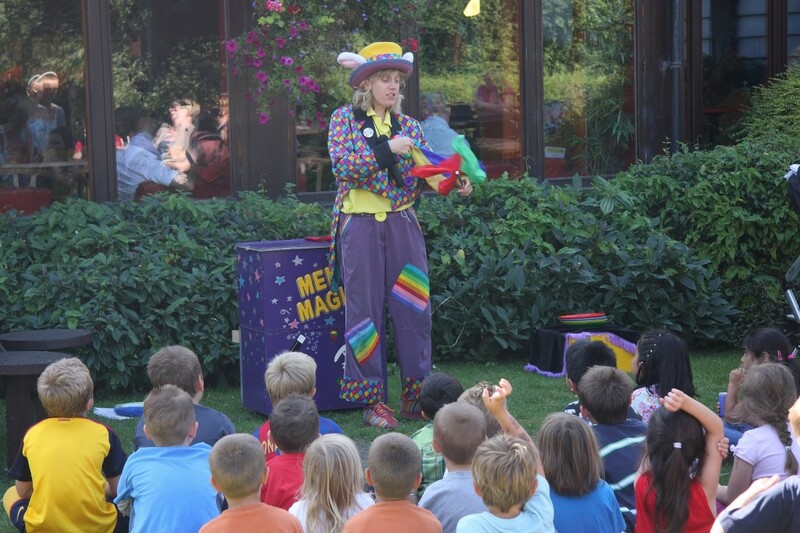 Mel has been Professional Childrens Party Entertainer in Hertfordshire, and surrounding areas for over 20yrs. From a 1hr Fun Entertaining magic shows with Appearance of a Live bunny at the end, to the full 2hr party covered, Keeping all the children busy with the magic show, Games, competitions and dancing, leaving just you to arrange the tea. Save time and hassle with Mel’s Ready made Party bags, with all the favourites, sweets, bubbles, balloons, magic wand. are also available. No left overs. Circus skills workshops with Juggling, plate spinning, unicycle, Diabolo, poi, stilts. All to Fun Music. Circus skills theme games too. Have a go! All ages from 3yrs children to Adults. Brownies and Guides circus skills badges covered. Balloon modelling, face painting and more.